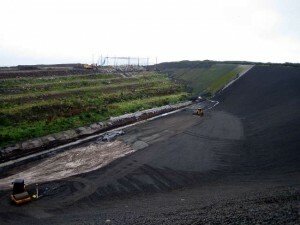 Hydrogeo were commissioned to undertake the four yearly review of the hydrogeological risk assessment (HRA) for Craigahulliar Landfill. 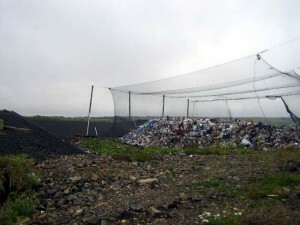 The landfill is located in a basalt quarry and has been constructed as a containment landfill and receives domestic and commercial waste. The project was complicated by active dewatering from a low pond at the site, a sub-liner groundwater drainage layer and different lining systems for the base and sidewalls. The hydrogeological risk assessment review required a complete review of all the leachate and groundwater monitoring data, leachate management data, rainfall data and site engineering measures over the review period. The conceptual model of the site was updated and the Landsim landfill risk assessment model was updated for the entire lifetime of the site, including post management and dewatering. As well as a requirement of the Groundwater Regulations the four yearly HRA review is an opportunity for the operator to review their permit requirements with respect to the site design as well as the management and monitoring of leachate, groundwater and surface water.